Shellac manicure increases in popularity every day and is in high demand by ladies who visit the nail salon. When you go to a nail salon in London to get your nails done, there are three major options you have to choose from. They are Acrylic Nails, UV Gel nails, and Shellac manicure. These options differ in several ways starting with the manicure process. A significant difference is that UV gel nails and acrylic nails offers nail extensions for those that want longer nails. Shellac manicure, on the other hand, use your natural nail plate and have no need for extensions. In this article, we will be discussing why you should choose a Shellac manicure over others. If you have had a Shellac manicure in the past, then you must have something to say about your experience. For those who haven’t here are all the reasons you need to choose a Shellac manicure in London on your next visit to the nail salon. When it comes to a Shellac manicure, your natural nails have to be healthy. The nails are filed, shaped and buffed to begin the process. Then the nail plates are cleaned to eliminate any excess oils. After the first steps, your nails will be coated with a thin layer of Shellac base coat, the second layer of Shellac colour and a final layer of Shellac top coat. Each layer will be cured under a UV lamp for about 30 – 60 seconds. The entire process takes about 45 minutes and your nails are completely dried and ready to go. So, the Shellac manicure process is not only faster but you get to experience less drying time. With Shellac manicure you can dig into your bag as you walk out of the salon. We all know that’s almost impossible with varnish because they remain a bit tacky or sticky after the session. Except of course you waited patiently for them to get dry. Another attractive advantage of Shellac manicure is that it lasts much longer than others. Shellac manicure lasts a minimum of 14 days without wear. If your nails grow slowly, it will last beyond the duration of 14 days. The long-lasting quality of shellac manicure can be attributed to its hardness. Despite the thinness of the shellac nail polish, its nails are hard and able to withstand daily stress. Shellac manicures last without chipping, peeling, fading or cracking until they begin to wear out. 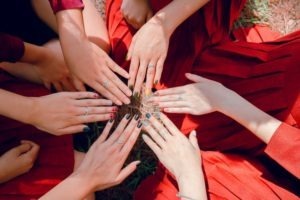 This means that unlike other manicures you can wear shellac manicures for as long as you like and engage in any activities without fear of them wearing out or getting damaged too soon. Its strength and durability also protect your natural nails. Other manicure like varnish may wear out on time and because they lack the hardness of Shellac they can get damaged, broken, or chipped and harm your natural nails in the process. Shellac manicure requires your natural nail plates which is the first step towards a natural finish. Shellac nail polish is also applied quite thinly so it is lighter on the nails and is conveniently worn. Shellac manicure has a luxurious shine to it that keeps you excited and proud of your nails anytime. This is as a result of the gel part of the product and other unique constituents. Glamorous shine is always associated with gel nails. The shine of shellac manicure does not wear out easily and remain uncompromised because of the hardness of shellac manicure. When you talk of flawless, smooth finish for manicured nails, you can get this with Shellac manicure. The gel part of the polish allows it glide smoothly over the nails and sit neatly too. Shellac manicure cannot be removed at home. It is removed in a painless process by your manicurist. Shellac nails are soaked in acetone to remove them and leave your nails undamaged. This is another advantage when compared with other manicures that can leave the natural nails thin, torn, dry, or damaged. Even in the beauty and cosmetic industry, safety should be a top priority. The application of Shellac nails is less invasive than others like acrylic nails. It does not require an electric file. Also, the removal process does not strip your nails. The risk of an allergic reaction to Shellac is extremely low. Shellac contains very few allergens. Hence, it is hypoallergenic and suitable for anyone. Shellac has over one hundred magnificent colours. It makes it confusing to pick one each time but any choice is always an exquisite one. 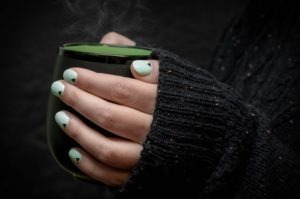 Shellac mani is suitable for any weather. They might be pricey in most salons but they are always worth it in the end. 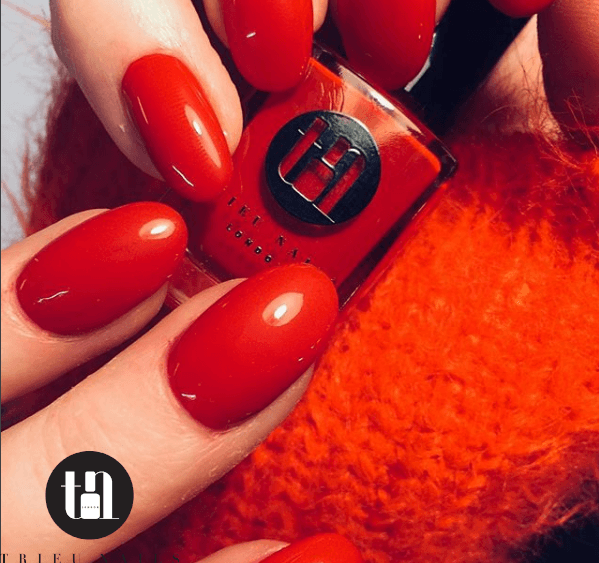 Trieu Nails offers you the best Shellac manicure in London. Our services provide you with a few options to make your needs specialized and give you unique results. We equally stock a wide variety of Shellac colours to choose from. Shellac manicure is all rage now and will probably remain fashionable for a long time. 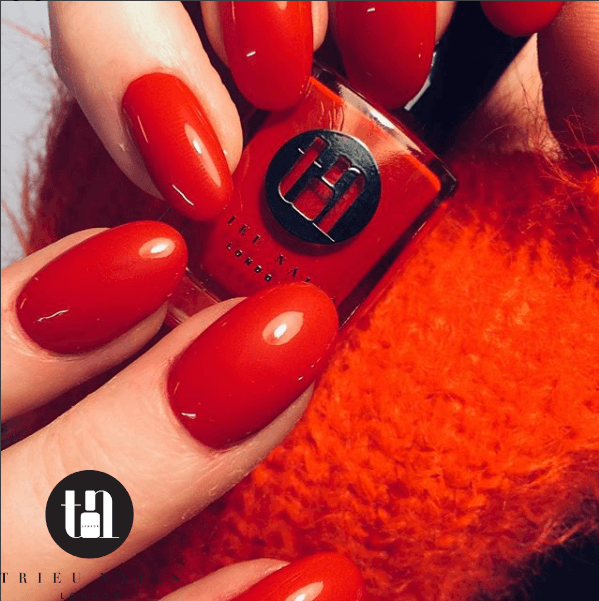 Choose a Shellac mani on your next appointment with Trieu Nails London for long lasting nails!